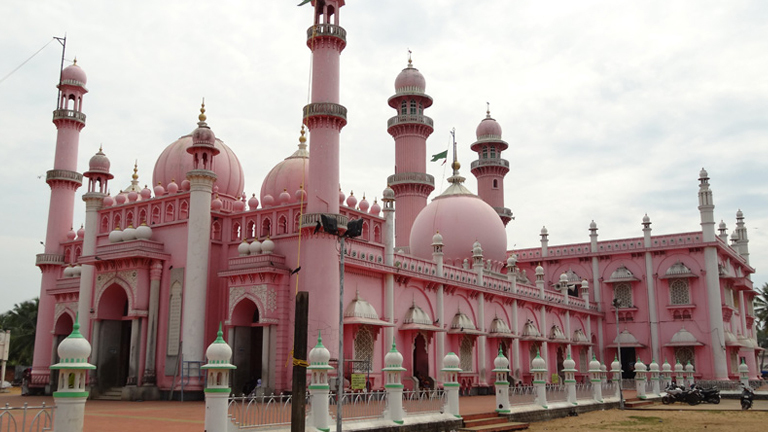 Beemapalli Dargah Shareef is one among the ancient places of worship for Muslims in Kerala. The Dargah is dedicated to Beema Umma who belonged to the family of Prophet Mohammed. Centuries ago, Beema Umma and her son were believed to have come here from Arabia, to preach the religion of Islam. The annual Urus Chandanakkudam festival at Beemappalli is held in memory of Beema Umma and her son Sayyidussaheed Maheen Aboobaker, who were laid to rest here. It is believed that the medicated water from the wells of Beema Palli is capable of curing any disease. Among the two wells of Beemapalli, one contains hot water and the other cold water. It is said that even in the most severe drought, the water in these wells don’t dry. Urus are celebrated annually starting on the first of Jama dul Akbar and continues for ten days. Flowers, silk cloth and oil offered at the tombs are distributed to the devotees as prasada. The festival starts with a dua prayer and a procession led by the Imam of Beema mosque. Religious speeches and cultural programmes are conducted during the festival.